Join with me in a thought experiment. Imagine a major planetary cataclysm. It could be a global nuclear war, a devastating pandemic, or perhaps rapid climate catastrophes. It could be a sleeper computer virus, wiping out all digital memory banks. In any of these scenarios, we would anticipate an economic and environmental collapse, though not necessarily in that order. The catastrophe would directly and indirectly involve a massive die-off of human populations. Like the White Queen in Lewis Carroll’s Through the Looking Glass, I find it useful to imagine these “impossibilities” a little bit each day. “When I was younger I always did it for a half an hour a day,” the Queen tells Alice. “Why sometimes I believed as many as six impossible things before breakfast.” It is not bad to think of impossibly dark possibilities. Contemplating one’s own death, or the death of billions, feels impossible, even though it is a certainty from the day of our birth. Reflecting on death is an important spiritual practice in many different traditions. A little bit each day is a way to focus life on really important matters. Taking the White Queen’s lead, I try to do my imaginings before breakfast, so I can spend the rest of my day focusing on the positive things in life. The point of this thought experiment, however, is not to contemplate death and disaster, but to imagine survivors and continued life. My question is: What knowledge contained in what books of science, culture and civilization would you most want to pass on to the surviving humans as they faced the prospect of adapting to a new environment and rebuilding their lives over many generations? For the purposes of this thought experiment, I imagine a natural catastrophe, not a human-caused one, because I do not want to introduce morality and culpability into the equation, not yet at least. Let’s imagine something on the order of the Mt. Toba supervolcano, which blew up in Sumatra, Indonesia some 73,000 years ago. This super-eruption, estimated to be 3000 times greater than the 1980 eruption of Mount Saint Helens, changed everything for our hunter-gatherer ancestors overnight. The volcanic ash released into the atmosphere reduced average global temperature by 5 degrees Celsius for seven years and triggered a global ice age. The Indian subcontinent was covered with 5 meters of ash. Humanity was reduced to some 1000 to 10,000 breeding pairs. And yet, we, and the other flora and fauna, survived, and, as the sky cleared and the ice slowly retreated over the millennia, we resumed our expansion in a second migration out of Africa. Over time, humans migrated to every continent except Antarctica. We are all descendants of these survivors, a story written in our mitochondrial DNA. One of the thirty or so super-volcanos active in the world today is the Yellowstone Basin. The caldera is about 72 kilometers across. Over the last 16.5 million years, Yellowstone has blown up about a hundred times. The last three super-eruptions occurred 2.1 million, 1.3 million and 640,000 years ago, with a number of minor lava flows in between. Let’s be clear about the scale of such an event. The eruption that occurred 2.1 million years ago covered California with 6 meters of volcanic ash and New York State with 20 meters of ash. As with the more recent Mt. 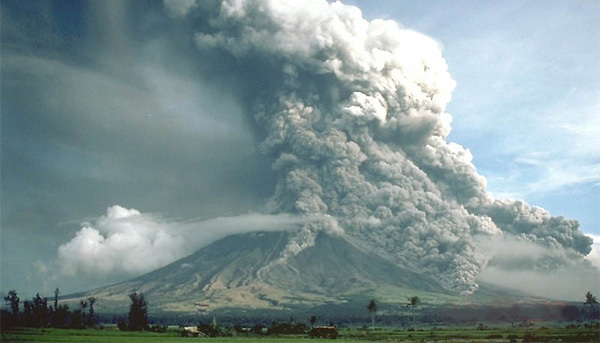 Toba super-volcano, it was accompanied by the onset of a sudden global ice age. In this scenario, the United States would disappear in the course of a few days. It is hard to argue with geology. There would be 300 million dead in short order, and the breadbasket of the world gone. The rapid cooling of the atmosphere would further accentuate massive famines around the world. Global trade and industry would grind to a halt. The survivors would be reduced to subsistence farming, gathering, hunting and fishing in areas around the earth’s equator. For our thought experiment, let’s say that humanity is again reduced to some 10,000 breeding pairs dispersed along the tropical and sub-tropical zones around the world. So, here is the thought experiment: What knowledge from today would be most valuable to these survivors as they tried to rebuild their lives and repopulate the earth? What has humanity discovered in the last 10,000 years of human civilization that would be most useful in rebuilding civilization in the aftermath of such a global catastrophe? It turns out that we have a lot to choose from in this evolutionary bottleneck. There are different languages, different histories, and different sacred narratives. There are many different kinds of sciences, technologies, arts, and media. Some large part of this is going to be lost in the bottleneck. Of course, different people would answer the question based on their biases, prejudices, and the good luck they had of not being anywhere near North America on that fateful day. Religious biases would be expected. A devout Christian would privilege Christianity as the most vital knowledge during this time of tribulation and adaptation. A devout Muslim would want to pass on the Qur’an and Hadith to the survivors. A Theravada Buddhist might argue in favor of the Pali Canon. A Hindu might pick the Vedas or the Upanishads. I am going to put my trust in God-by-whatever-name – Allah, the Holy Spirit, the latest Avatar, the Buddha nature in all things – to help the survivors rediscover the Divine without the benefit of one of these sacred traditions. Though I wish you all well in the great bottleneck, whenever it might actually happen. There would also be regional variations on this parochialism. Some American exceptionalists might want most to preserve the history of the United States, hoping to recreate their ideas and the ideal, even though there would no longer be any United States surviving the Yellowstone eruption. Russians, Indians, Chinese and others would all favor the preservation of their own exceptional regional histories and cultures. This cultural and geographical parochialism is likely to carry over into the Sciences and Humanities. A physician might argue in favor of the knowledge of microbes, vaccinations, and antibiotics. A professor of literature might argue for the importance of great works to survive. An economist sees the world through a different set of lenses and values, as does every other expert in the Ivory Tower and their academic silos. If, in some cataclysm, all scientific knowledge were to be destroyed, and only one sentence passed on to the next generation of creatures, what statement would contain the most information in the fewest words? I believe it is the atomic hypothesis (or atomic fact, or whatever you wish to call it) that all things are made of atoms – little particles that move around in perpetual motion, attracting each other when they are a little distance apart, but repelling upon being squeezed into one another. In that one sentence you will see an enormous amount of information about the world, if just a little imagination and thinking are applied. It would be frankly pathetic and tragic if all that remained of 10,000 years of human civilization was one sentence about “atoms in motion” or the local histories of one region, one nation, one religion or tribe, one ideology, or one academic discipline. And let’s be clear: Stockpiling food and weapons in the mountains of Idaho would be a silly and small-minded emergency plan for our scenario, because anywhere in North America would be the wrong place to be at the wrong time. Instead of focusing on the survival of my tribe, my family or my self, we would need to focus on the survival of civilization, of what would be most precious and useful for future generations. The only way to do this with assurance would be to distribute the most valuable and practical knowledge as widely as possible across the planet in anticipation of that unfortunate day. How would we give the survivors a head-start? What information would be most useful in rebuilding human civilization in such a horrible collapse? Remember: The best and brightest, the most privileged and most educated, would not be guaranteed to survive in any great numbers. Humanity would again be down to a non-random population of only 10,000 survivors – in a rerun of the Mount Tuba or Yellowstone scenarios. To my mind, what we are calling “Big History” would by far be the most valuable knowledge not to lose in such an evolutionary bottleneck. Big History is the puzzle box that would allow survivors to rediscover the pieces, and piece back together human civilization. The most useful information for the long-term survival of our species is this macrohistory from the Big Bang to today. It goes by different names – the “New Cosmology,” the “History of Nature,” the “Epic of Evolution,” and here we are calling it Big History. Whatever we call it, it spans some 13.7 billion years from the primordial flaring forth of the early Universe to the rapid flaring forth of our global civilization in the last century. I like to call it “Our Common Story,” because, for the first time, we have a progressively factual account of the Universe and ourselves that encompasses all religions, all tribes, and all times. This grand history is perhaps the most remarkable achievement of human civilization, and, so far as we may ever know, the Universe itself. This scientific metanarrative is quite new and still evolving. In brief outline, this omnicentric Universe began some 13.7 billion years ago as infinite heat, infinite density, and total symmetry. The Universe expanded and evolved into more differentiated and complex structures – forces, quarks, hydrogen, helium, galaxies, stars, heavier elements, complex chemistry, and planetary systems. Some 3.5 billion years ago, in a small second or third generation solar system, the intricate processes called “life” began on at least one small planet. Animate matter-energy on Earth presented itself as a marvelous new intensification of the creative dynamic at work in the Universe. Then, some 2 million years ago, as if yesterday in the enormous timescales of the Universe, proto-humans emerged on the savannas of Africa – with their enormously heightened capacities for conscious self-reflection, language, and tool making. About 10,000 years ago, agriculture began – with its growing populatons of humans living in ever larger and more complex societies. And this unfolding leads us all the way to today, 7 billion of us collectively transforming the planet and ourselves. The wonder of it all is that each of us is a collection of transient atoms, recycled stardust, become conscious beings, engaged in this global conversation, brought to you by ephemeral electrons cascading through the Internet and bouncing off of satellites. 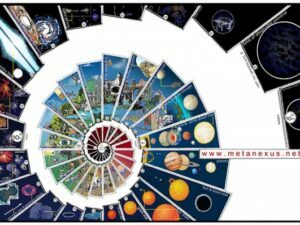 Typically, in schools, Science is taught as separate specializations, and History is divided into different time periods and geographic regions. The Big History curriculum involves multiple disciplines, providing students with an overview of the Sciences and the Humanities. The narrative structure provides a scaffold upon which students can hang the many details of Science, History, Technology, Economics, Engineering, and more. The story gives students an understanding of scale in size, depth of time, and vastness of emergent systems, along with an appreciation of how diverse academic and professional specializations fit into a unified body of expanding knowledge. It is an invitation and guide to further studies and multiple fields. At the outset, we encounter cosmology, fundamental physics, mathematics, chemistry, solid-state physics, geology, cell biology, epigenetics, evolution, and ecology. Human history begins with paleoarcheology, which involves fossils, skeletons, artifacts, tools, and art. We learn about radioactive dating techniques, as well as cognitive neuroscience, linguistics, and anthropology. We then learn about the domestication of plants and animals, and how the spread of agriculture also spread diseases. We learn how cultures and civilizations evolve through trade and migration, competition and cooperation, specialization and division of labor, ingenuity and imagination. We come to see our own education – the process of collective learning – in the context of cultural evolution and how the hive of humanity has grown exponentially in the last few generations. Big History then moves on to explore contemporary challenges of population, water, food, energy, transportation, agriculture, urbanization, technology, communication, governance, and globalization. It addresses the explosion of scientific information and technological capabilities in recent decades and how this new knowledge might be applied to resolve the growing global challenges. Big History is unique in its integration of all these different specializations, periods and regions into a single narrative account of the 13.8 billion year history of our Universe, the 4.5 billion year evolution of our planet, the 6 million year rise of our species, and the 10,000 year accelerating drama of human civilization. It takes a logarithmic approach to this vast timescale, shifting easily through different scales and magnitudes of space and time, while tracking thresholds of emergent complexity. 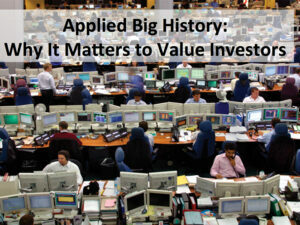 Big History is a framework allowing us to understand the recent and rapid acceleration in the human drama. We come to appreciate that we are recycled stardust (the atoms in our bodies), empowered by the sun through photosynthesis (in the food we eat and fossil fuels we burn). 1. It provides a mnemonic for us to understand and remember the details of science and history. 2. It helps us appreciate the awesome grandeur of the new sciences and the human adventure. 3. It is needed for understand the unique environmental, political, economic and technological challenges of the 21st century global civilization. 4. It is required background for addressing profound existential questions of meaning and purpose, virtues and values, in ways that are respectful of science, supportive of thoughtful religion, and conducive to civil societies. Catastrophic collapses, however, are also part of the big story, which brings me back to our thought experiment. Creative destruction is part of what makes our planet so interesting. The Earth is a restless planet and we would not be here otherwise. Human civilizations also come and go. Farmlands become depleted. Famine and disease cause population declines. Internal conflict and external competition lead to wars, the destruction of cities, and the eclipse of entire civilizations. We hope that it may not happen in our lifetime, but it will happen in someone’s lifetime, sometime in the future. How do we prepare? In the face of a catastrophic collapse of human civilization, we need to pass on useful information that will survive a long period of impoverishment in isolated communities around the world as they rebuild over many generations. Remember, in this scenario, humanity is back down to 10,000 breeding pairs dispersed around the globe, initially eking out their subsistence in extremely reduced environments. Most modern technology will be nonexistent. Sorry, but your iPhone is not going to be much use. If it is ever to exist again, such technologies will need to be reinvented, along with most of agriculture, medicine, engineering, economics, politics, art, music, morality, and philosophy. This is not going to happen overnight, but it could happen over many generations. Curiously, most of us today, even among the best educated and most privileged, do not really know much about this incredible new cosmology pieced together by scientists in diverse disciplines. There are precious few undergraduate courses that expose students to Big History and few faculty members prepared to teach them. Only a few attempts have been made to systematically teach this epic of evolution at the K-12 level. I know of no seminaries or business schools that teach our common story. Fortunately, we now have a number of books that attempt to bring it all together, but the books, and the ideas contained in them, are not widely distributed, studied, taught, interpreted, and debated. The broadest possible distribution of this new user-manual for Earthlings is the key to the survival of this precious knowledge. It is not just a beautiful and amazing story; it is also a very practical one. If future generations had the basic outline – the woof of emerging complexity and the warp of space-time – they would know where to focus their intellect and creativity as they sought to rediscover science, technology, agriculture, and culture. 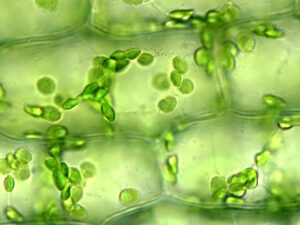 They could start looking for atoms, molecules, microbes and cells, even if they lacked the tools to do so. They would know about something called the Periodic Table and have a headstart on reinventing modern chemistry. They would know a bit of metallurgy, of the possibility of flying machines and space ships. They would understand the motion of the sun, moon, and stars. They would know of galaxies, even though they could see none. They would quickly rediscover advanced mathematics. They would understand that we are Earthlings, who evolved from other lifeforms on this dynamic, creative and dangerous planet. They would know that some plants and animals can be domesticated, and that even the wild flora and fauna are our close relations. They would understand the importance of energy-density flows and creative innovation processes. They would not only speak, read and write, but they would understand something of the evolved human brain and body that enables these accomplishments within the mutual aid and collective learning of human societies. It turns out that this epic of evolution also contains vital information if we are to successfully meet other challenges of the 21st century. It includes insights into how Nature functions as complex, distributed systems, and the dangers of runaway environmental problems. It possesses insights about economics and how complex, distributed economic systems produce incredible wealth, as well as dangerous dysfunctions. It shares insights about war and violence, including the technological, psychological, economic and biological evolution of conflict in human history. It contains insights about the importance of limited governments, individual freedoms and responsibilities. It holds insights about the deep time of the Cosmos and the unique moment in space and time in which humans find ourselves. It provides practical knowledge about the great problems of the 21st century and fundamental principles that inform how these problems should be addressed. Our common story gives humanity new perspective, a vantage point, which takes the edge off of bitter ideological, nationalist, and religious conflicts around the world. This then is the real take-home message in our thought experiment of designing a “civilization recovery plan.” Big History helps us to orient humanity toward pragmatic problem-solving in dealing with our contemporary challenges of war and peace, economics and the environment, education and innovation, health and happiness, freedom and responsibility. It may just be that distributing this knowledge as broadly as possible throughout the world today is also the key to solving our 21st century problems. We may not be able to prevent the next supervolcano, but we can certainly prevent the many evils and stupidities that we inflict on each other and the planet. The point of this dark thought experiment is to finish up before breakfast. Recalling Alice’s discussion with the White Queen, one should probably not dwell on these “impossible” apocalyptic possibilities for more than a half an hour each day. Considering such “impossibilities” is a kind of looking-glass back on ourselves and through which we can also help future generations. The point of this thought experiment is to wake up and pay attention to the larger drama in which we live each day, and to focus our thoughts and actions on crafting a safer and healthier future. Big History is dramatic epic adventure, one in which the Universe seems to repeatedly err on the side of elegant improbabilities. May it always be so in the long arc of time. The most important knowledge that humans have gained in the 10,000 year march of human civilization is the combined history of the Universe, our planet, and ourselves. If our descendants, the survivors of the next great evolutionary bottleneck, had only this Big History, they would have an enormous head-start on the challenges of rebuilding human civilization. May that day of disaster not be in our lifetimes, or our children’s children’s lifetimes, but someday it will be so, if past events are any guide. Knowledge of the epic would vastly accelerate the rediscovery of science, the reinvention of technologies, and the recovery of civilization. Our descendants would understand the remarkable cultural achievements of past civilizations and be inspired to create their own, resuming and exceeding us in our quest to return to the stars. Rebuilding human civilization may well take thousands or tens of thousands of years in this post-cataclysmic world, but we would be able to take comfort in knowing that we have passed on this hard won knowledge and know-how. Our descendants in turn will remember us always with gratitude for having bequeathed them this great gift. The clincher, of course, is that Big History also turns out to be essential for saving human civilization from its own self-destructive tendencies. The challenge then is to distribute that gift as broadly as possible today, and, in so doing, perhaps also help solve the great anthropogenic challenges of the 21st century. Adapted from Metanexus, originally published 2009.12.04. Feynman, Leighton, and Sands  2005. For why this curriculum might promote general science literacy, see Grassie 2008. For how this curriculum might help promote peace in the world, see Grassie 2005 For an example of an undergraduate curriculum, see my essay Grassie 2009 (https://grassie.net/articles/2009_Teachable_Books.html). For examples of college course, see Chaisson 2012. For examples of K-12 curricula, see Institute 2009, Dunn 2009. Bill Gates has teamed up with David Christian in creating an online ninth grade curriculum that will launch publicly in 2013: see Gates and others 2012. See Bryson  2005; Christian 2004; Chaisson 2001; Chaisson 2006; Berry and Swimme 1992; Spier 1996; Spier 2011; Primack and Abrams 2006. For a curriculum and annotated reading list, see Grassie 2009. 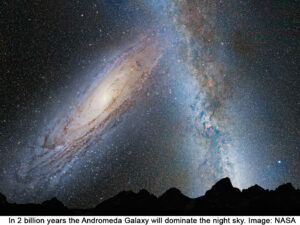 The Andromeda Galaxy is the only galaxy that can be seen with the naked eye. It is 2.5 million light years away. It was not until 1925 that Edwin Hubble determined its distance from Earth and there by established the existence of other galaxies. Ambrose, Stanley H. 1998. “Late Pleistocene human population bottlenecks, volcanic winter, and differentiation of modern humans.” Journal of Human Evolution no. 34 (6):623-651. ———. Volcanic Winter, and Differentiation of Modern Humans. Bradshaw Foundation. . Bradshaw Foundation 2005 [cited 11/4/2007. Available fromhttp://www.bradshawfoundation.com/stanley_ambrose.php. Berry, Thomas, and Brian Swimme. 1992. Universe Story, The: From the Primordial Flaring Forth to the Ecozoic Era. San Francisco, CA: Harper. Bryson, Bill. 2005. A Short History of Nearly Everything: Special Illustrated Edition. New York: Broadway Books. Carroll, Lewis. 1871. Through the Looking Glass: Project Gutenberg. Chaisson, Eric. 2001. Cosmic Evolution: The Rise of Complexity in Nature. Cambridge, MA: Harvard University Press. ———. 2006. Epic of Evolution: Seven Ages of the Cosmos. New York: Columbia University Press. ———. Cosmic Evolution: An Interdisciplinary Approach. Harvard University 2012 [cited 8/21/12. Available fromhttps://http://www.cfa.harvard.edu/~ejchaisson/cosmic_evolution/. Christian, David. 2004. Maps of Time: An Introduction to Big History. Berkeley: University of California Press. Dunn, Ross. World History For Us All. San Diego State University 2009 [cited 6/26/2009. Available from http://worldhistoryforusall.sdsu.edu/. Feynman, Richard, Robert B. Leighton, and Matthew Sands. 2005. The Feynman Lectures on Physics. Second ed: Addison Wesley. Gates, Bill, David Christian, Andrew Cook, and et al. The Big History Project 2012 [cited 8/21/12. Available from http://www.bighistoryproject.com. Grassie, William J. Universal Reason: Science, Religion and the Foundation of Civil Societies. Metanexus Institute, 5/26/2005 2005. Available fromhttp://www.metanexus.net/essay/universal-reason-science-religion-and-fou…. ———. 2008. Teaching the History of Nature: Towards an Integrated Science Curriculum. Metanexus (6/12/2009), http://www.metanexus.net/essay/teaching-history-nature. ———. 2009. A Teachable Moment: Our Common Story. 2009 (6/12/2009),https://grassie.net/articles/2009_Teachable_Books.html. Institute, SETI. Voyages Through Time. SETI Institute 2009 [cited 6/26/2009. Available from http://www.voyagesthroughtime.org/. Primack, Joel R., and Nancy Ellen Abrams. 2006. The View from the Center of the Universe: Discovering Our Extraordinary Place in the Cosmos. New York: Riverhead. Spier, Fred. 1996. The Structure of Big History: From the Big Bang Until Today. Amsterdam: Amsterdam University Press. ———. 2011. Big History and the Future of Humanity. New York: Wiley-Blackwell.